Up until recently, order confirmation emails generated from Yahoo! stores were very basic, text-only messages with very minimal customization options. 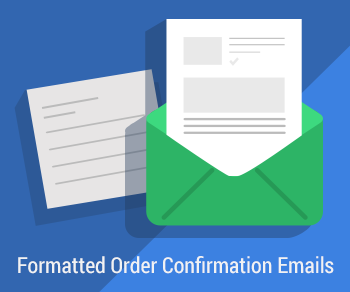 However, setting up richly formatted HTML order confirmation emails are now possible. This means you can fully customize what the email says as well as brand the email so it looks like it's coming from your company and not from a generic entity. 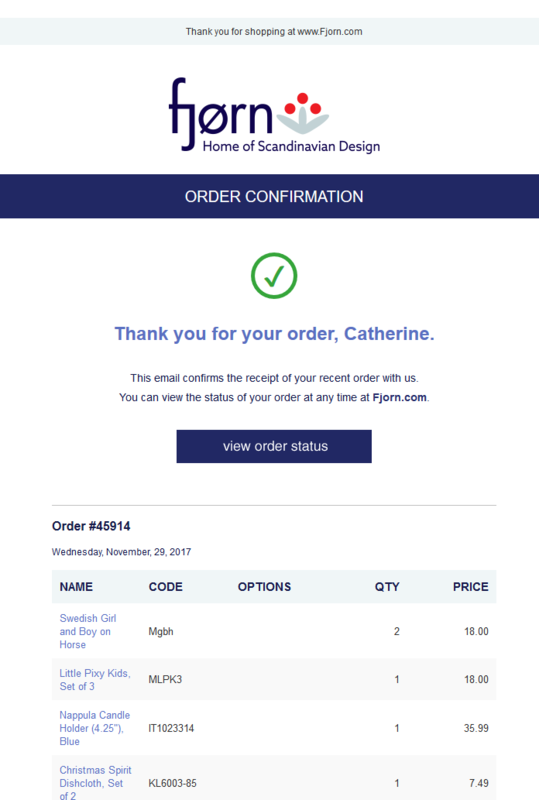 Let us design and deploy your customized order confirmation email. Order it now and we'll set this up for you. Will we be able to make adjustments on our own after you build the first set - assuming that we aren't technically challenged? 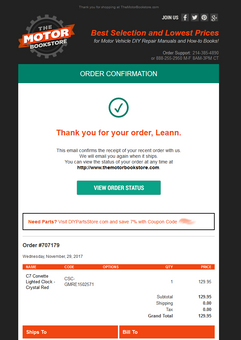 The email is set up in HTML (in the Store Manager), so as long as you are comfortable with making changes to the HTML source you can of course make changes to the email. 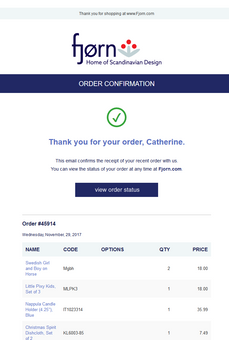 HTML formatted E-Mail confirmations looks fantastic, so much better than the old text confirmations. Nice Job!